Curious about programming. Learn C, C++,HTML,Java,Go lang in depth with examples. Also find the interview questions, solved problems of CS and IT. This is a section which is actually not visible to the users on the web page, but it helps the content how to display the content. It is used to write the title, meta, script, style etc. This is a section which is actually visible on the web page. Welcome!!! in the world of web. <!doctype html> reprents, which html version you are using. For html-5 doctype is as written. Before html-5 doctype is too complicatd. HTML-5 simplified doctype. Every HTML page starts with <html></html> tag. 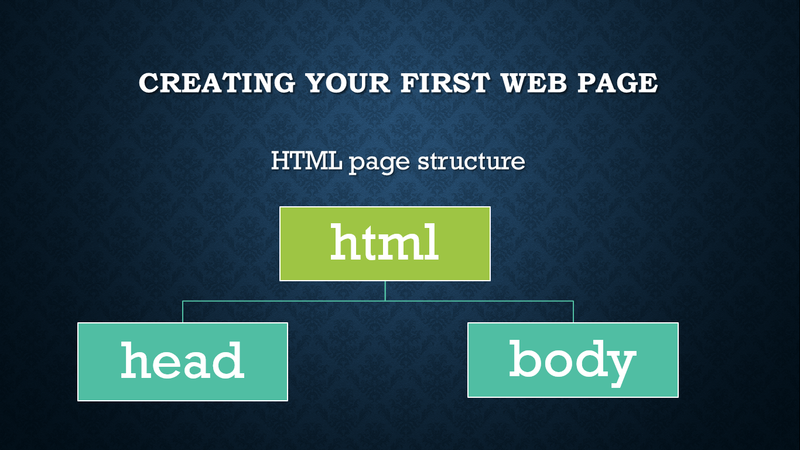 Because each HTML page have head section and body section, which is represented by <head></head> and <body></body> tag respectively. <head></head> section contains, <title></title> tag, which reprents the page title, shown on the title bar. <body></body> tag contains the actual content of the page. To run the web page, save your web page with the .html extension, suppose you saved above page as first.html. To run the web page, open your saved page in the browser. Data type defines a set of related values, describe the operations that can be done on them and define the way the stored in memory. For example: Suppose you have a Car of VW Polo, but a car can be of any other company with some other basic and some advanced features. But if we called a name Car, then in your mind a picture is created that there is a vehicle with 4-wheels and steering. Each car has some features like the color, company, make, model etc. Types in programming work in a similar way, For example, "Hello World" is a string and every string have some length. Note: Following example demonstrate the default values for array elements. Introduction to decision making Sometimes we need to introduce a power in our program, that our program should automatically make the decision. For example: if the temperature of the day is more than 20 degree then it's hot otherwise it's cool.